The 18th hole at Worlebury is in my opinion the hardest hole on the golf course. Its yardage of 428 and usually playing into the strong prevailing wind makes it a ver y tough finishing hole. From the tee there are a line of thick conifers running up the left hand side of the hole and up the right there are two bunches of trees strategically placed to catch any off line drive. After negotiating the tee shot you are then left with a long blind second which could be anything from a wedge to 3 wood depending on the wind, over the hill to the downhill sloping green which is protected by a long shallow bunker to the left and a smaller but deeper bunker in the back left. 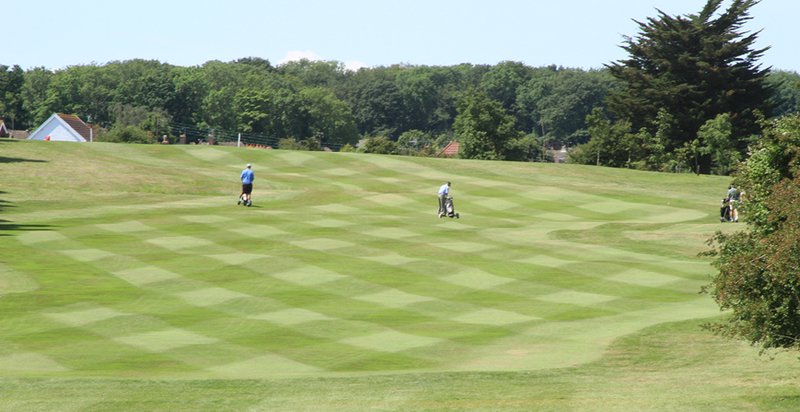 If that isn’t enough you then have probably the quickest and toughest green on the course to finish your round. Darren John, Past Junior member and Centenary First Team Captain.